'Tis the season for scams -- in part because the holidays are fast approaching, but also because cold weather has arrived in much of the U.S. When the mercury drops, scammers come out of the woodwork to rip off consumers with a variety of utility scams. Southern California Gas (SoCalGas) is warning that scammers often impersonate utility company employees, either on the phone or by showing up on your doorstep. They might tell consumers their service is about to be shut off until they pay a surcharge, or they may try to sell a worthless device to lower heating bills. "We encourage customers to look for the warning signs associated with this latest scam and to call the police as well as our customer call center number to report it to us,” said Paul Goldstein, vice president of customer services at SoCalGas. We also want to reiterate that we do not call our customers who are late on their payments but will instead send a text, an email, or a notice in the mail." Georgia Power said a common tactic scammers employ is to demand payment for a bill that is allegedly overdue. But the tip-off comes in the form of payment. If the caller demands a credit card or prepaid money card number over the phone, it's a scam. If you get one of these calls, utility officials recommend hanging up and, if you're in doubt that it’s a scam, looking up the number for you local utility company and speaking with a customer service representative. The scheme first emerged in 2015 when Facebook members were invited to take part in a holiday gift exchange. The posting told participants to send a gift costing at least $10 to someone on the posted gift list and promised between six and 36 gifts in return. But the Postal Service says it's just a pyramid scheme. 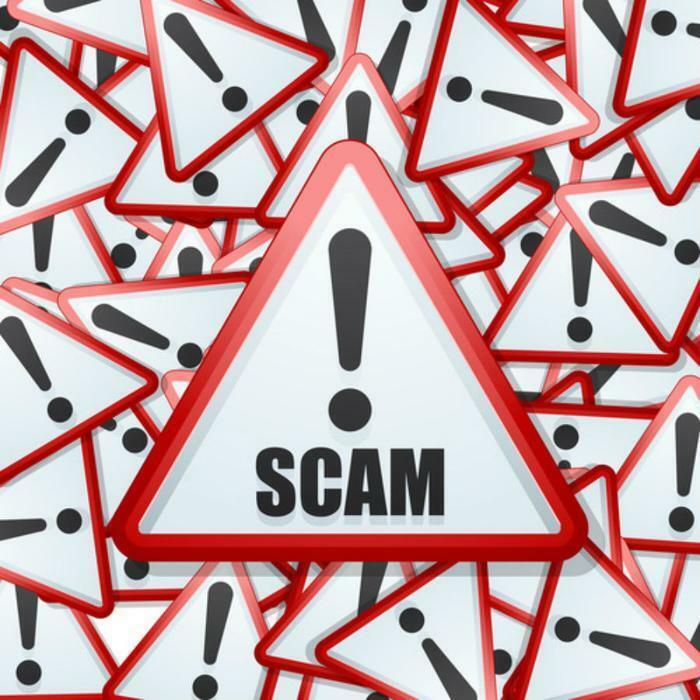 The Postal Service cautions that fraudulent pyramid schemes run afoul of the Lottery Statute – Title 18, United States Code, Section 1302 – since they meet the definition of a lottery. Other holiday scams include fake charities and phony shopping sites and apps. Consumers should only support well-known charities and only shop at well-known shopping sites. AARP has compiled a list of other common holiday scams and how to avoid them.